A child walks in a United Nations refugee camp in Turkey where thousands of Syrian refugees reside. Citing security concerns, Abbott's office said Texas will no longer participate in the federal program, which helps thousands of refugees from around the world resettle in the state. State officials threatened last week to withdraw from the resettlement program if the feds did not “unconditionally approve” its amended state plan to only accept refugees who “are fully vetted and do not present a security threat” — part of Texas’ efforts to keep Syrian refugees out of the state. Federal officials did not immediately respond to a request for comment. They've previously stressed that refugees are only settled in the United States after lengthy, stringent security screenings that can take up to two years. Security officials with the state department conduct background and biometric screenings, and process applications received through the United Nations, which operates refugee camps around the world. Texas' withdrawal from the resettlement program is the latest in its efforts to keep Syrian refugees from entering the state. Following terrorist attacks in Paris in November that killed 130 people, Abbott and other Texas Republicans raised concerns about refugee screening. Though the state of Texas will no longer oversee that contracting and disburse funding, refugees will continue to be relocated here. The feds can appoint another entity — likely a nonprofit — to coordinate resettlement efforts. It's a set-up that was in place in six states in 2015, resettlement officials have said. Texas' top elected officials have not exactly welcomed refugees over the past year. Governor Greg Abbott says Texas will no longer provide aid to refugees unless the federal government can assure they “are fully vetted and don’t present a security threat.” Federal officials have said the U.S. has a rigorous screening process that can take 1 to 2 years. 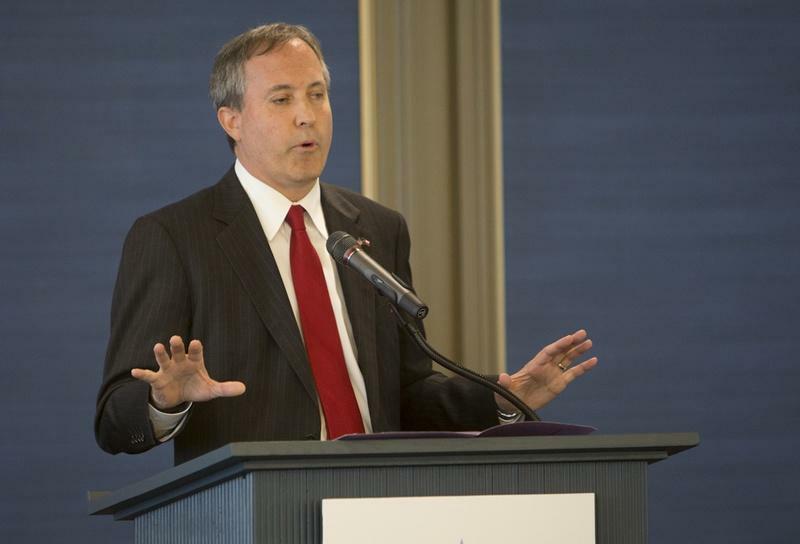 A non-binding legal opinion issued by Texas Attorney General Ken Paxton states that Texas can withhold federal funding to nonprofit refugee resettlement groups if these groups ignore the state’s security verification program for Syrian and Iraqi refugees being sent to the state. Refugees have been in the headlines for months -- from Europe to Texas. More than 4 million Syrian refugees have fled the country since conflict began in 2011.